Sure, I bet you thought your city had a great light display, but Cleveland sure put on a show Saturday night. image c/o Downtown Cleveland Alliance. Look at that crowd! I mean, we didn’t just have an hour or two hour event. It was all day and took over Euclid Avenue. 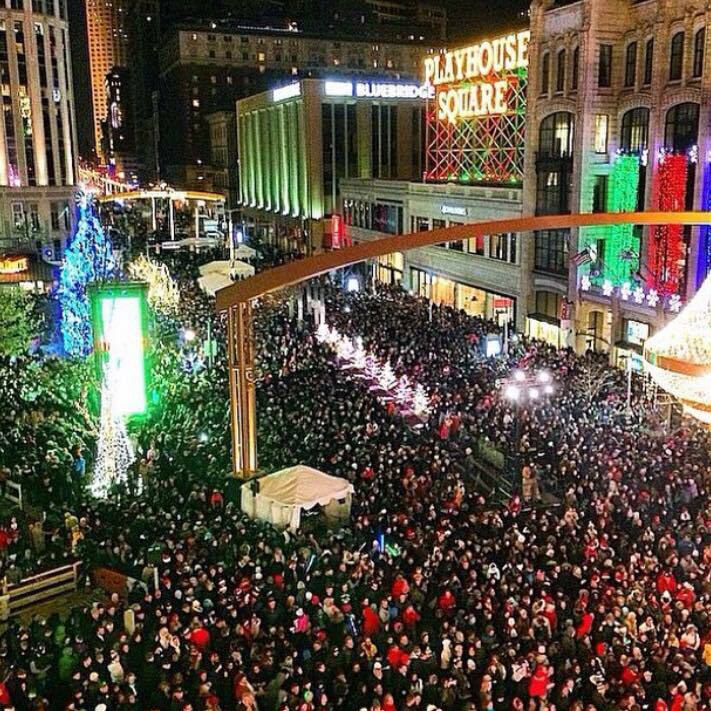 From Public Square all the way to the new location of Playhouse Square, the streets of Cleveland were filled with holiday cheer. 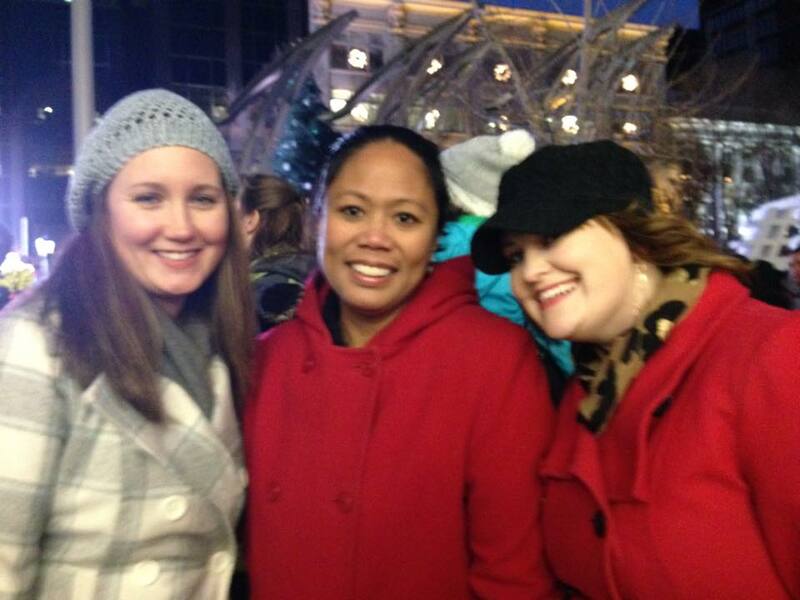 Monina, Tara and I kicked off the holiday season in style, with laughs, running into friends in the middle of Euclid Avenue and seeing the city light up in a variety of ways. 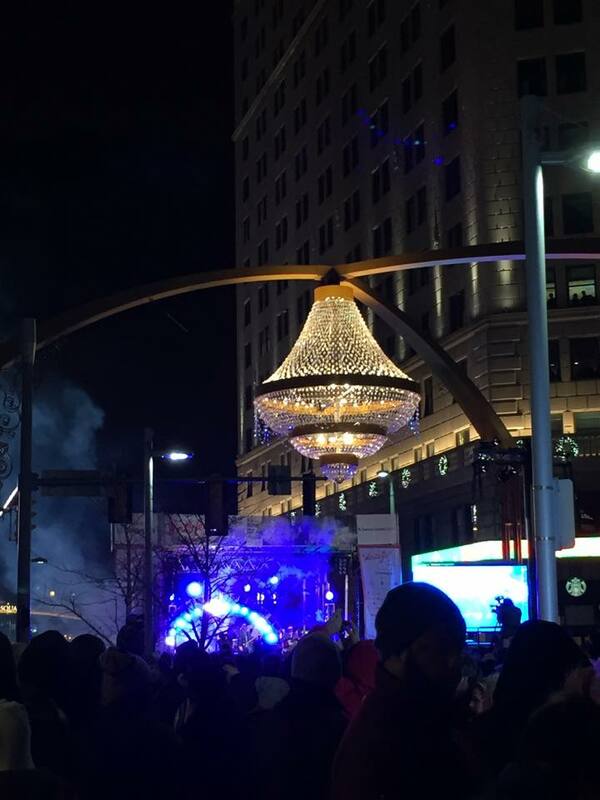 As usual, Downtown Cleveland did not disappoint with the opportunity to have Cleveland’s out in a safe environment to celebrate the holidays with the lighting of the tree. Food trucks lined Huron Ext., the #ThisisCLE sign was available for plenty of picture taking, Spazmatics were on stage (along with Mark Nolan and Cavs Nicole), Tower City had plenty of holiday activities and the Cleveland Bazaar was out in the Arcade. You’d be hard pressed to find a better holiday celebration. 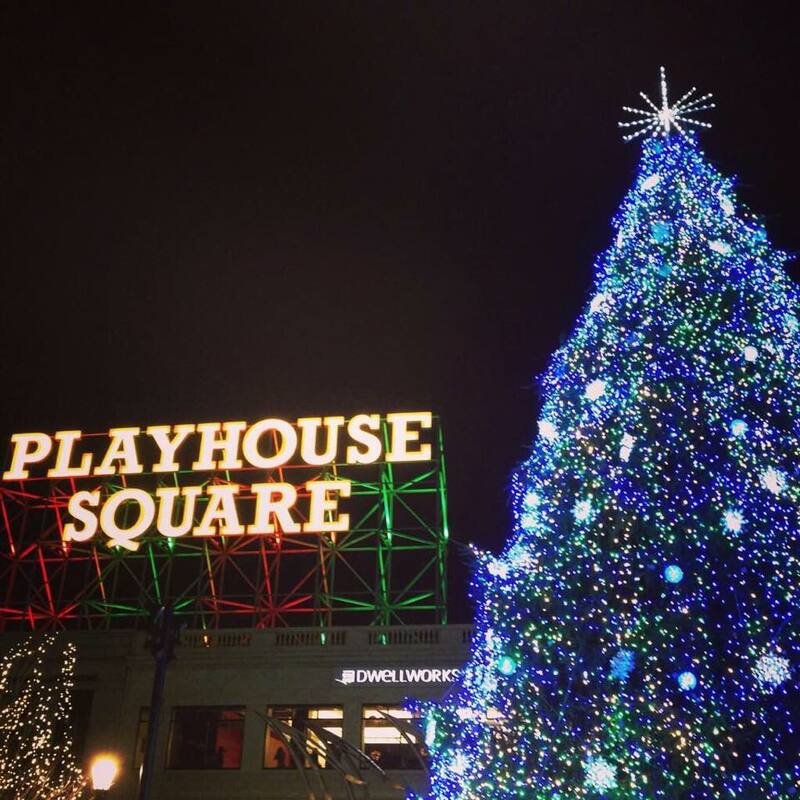 But wait…we don’t just light trees in Cleveland. We also had to light up our outdoor chandelier as part of the celebration too! This was just another show of how Cleveland is rising up. Our city is on fire. People are coming Downtown and spending money in the city. I don’t know why but every time we have an event like this, I feel more excited about the progress our city is making and that I’m here to experience it. 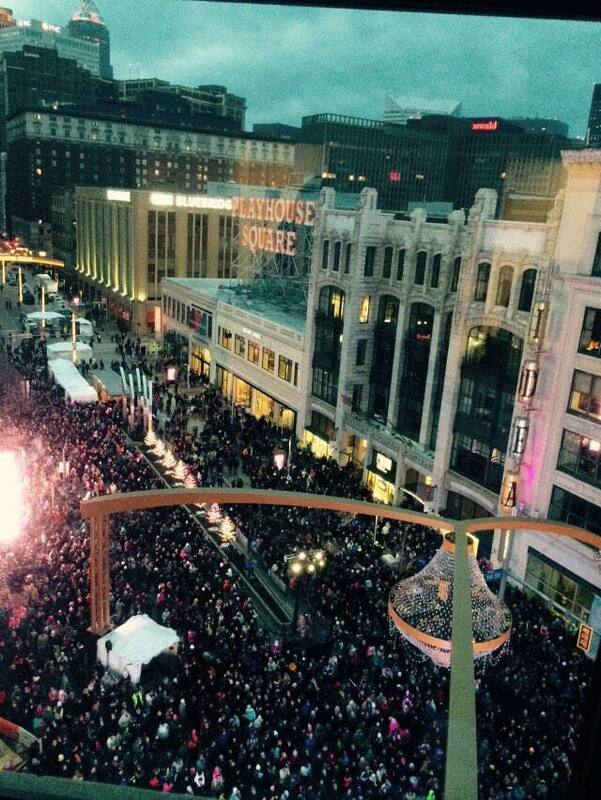 Cleveland…you just keep reminding me that you are a true love of my life. 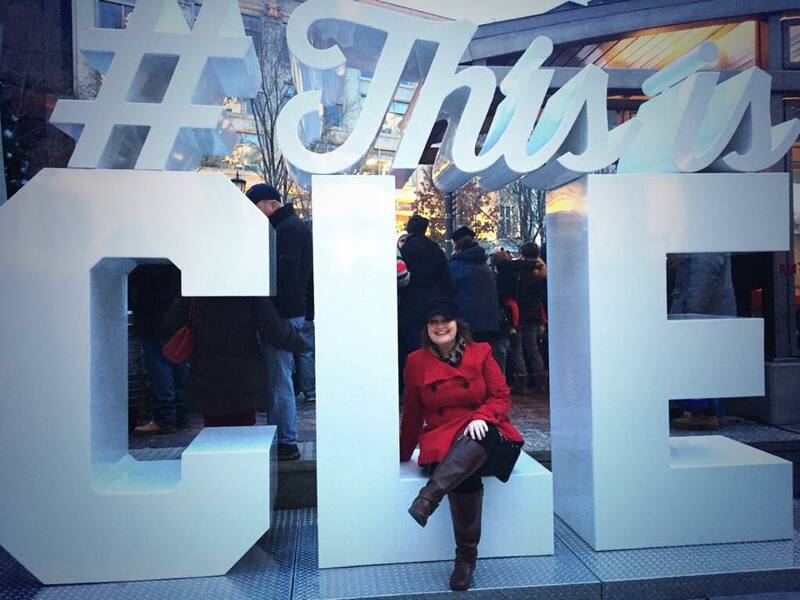 This entry was posted in Uncategorized and tagged #WinterfestCLE, Christmas in the CLE, Holidays in CLE, Playhouse Square, Public Square, The CLE, Winterfest 2014. Bookmark the permalink.